Have you ever heard the best way to get fit is by driving the car? Well we did as well that is why our simulator can be used as an excellent fitness tool. When you use our simulator for fitness the session is slightly different as you will be undertaking longer runs than we would for a performance run. The steering effort and brake pedal effort will also be turned up higher than normal. The car model and track model will still be exactly the same as you would have on a performance run though so that you can get fitter whilst also driving your car around the next track you will race on. You will be wearing our heart rate monitor and body temperature so that we can keep track of your physical condition whilst driving. Coming soon is also a first which we are very proud of and that is our specially developed helmet G-force system. 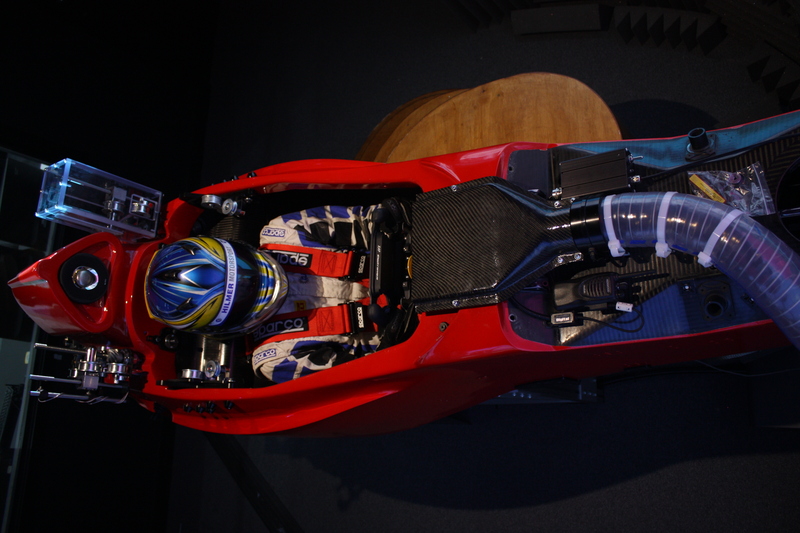 You will wear one of our helmets and the same G-Force that is seen in the simulator will be applied in real time directly to your helmet. This will be great way to get fit, simply by driving. 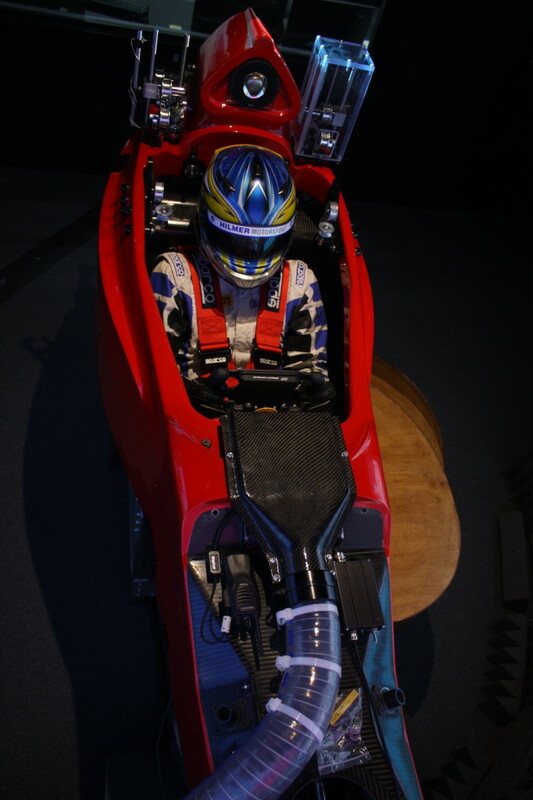 There are already such machines that allow you to wear a helmet and lift weights from the cockpit of a car but this will be the first time you can drive a simulator in real time and experience sustained G-force. There is also a secondary benefit to using this system to drive and that is you can feel sustained G-force. When you feel the sustained G-force you will be able to feel exactly how much grip the car has all the way through the corner and as it is a real life feeling you will not have to learn to drive the simulator! You can just drive like you would in real life which is what using a simulator should be. As well as physical fitness we can also help you with your mental fitness. Mental fitness is driving for a long distance where the last lap is as fast as the first and consistency with no breaks to mentally recover. We can check your mental fitness with help from our EEG equipment and also correct analysis of driving line and lap times over a given distance. With the results from your run together with our in house expert sport’s psychologist we can come up with a plan to help you improve. The best part about a simulator is we can reproduce the exact same test so that you can see the improvement you have made with your consistency from our specialised training. Please contact us so that we can start creating a personalised program for physical and or mental fitness on our simulator.